Bette & Melvyn Wolf; We started collecting American Pewter in the 1960’s and still have not stopped. We began selling pewter, American, British, and Continental, and to a lesser degree other.. Offered by: Bette & Melvyn Wolf Inc.
Whitman Antiques; Whitman Antiques specializes in fine antique metalware from the Medieval period to the early 20th Century. 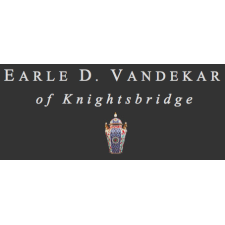 We deal in antique English, European and American objects made of br..
Paul Vandekar; Our business specializes in fine decorative art objects from the 17th to the 20 century. We particularly concentrate on English and Continental porcelain, pottery a..
Van Tassel/Baumann American Antiques; American furniture and accessories of the 18th and early 19th centuries, as well as a selection of early schoolgirl samplers, silk embroidered pictures and early canvas-work.O..
Jonathan Trace; Early American silver. 17th to early 19th century metalwork (brass). 18th century American furniture. Jeffrey Tillou Antiques; Specializing in fine Americana from the 18th to early 19th century with an emphasis on furniture, paintings, folk art and decorative accessories. Open all days except Tues., 1..
Taylor Thistlethwaite; W. T. THISTLETHWAITE It never occurred to me that people were not collectors of antiques, for me it was a way of life. Throughout my childhood, my family instilled ..
Steven Still; Established in 1979 and located in Lancaster County, Pennsylvania. I specialize in American Folk Art, furniture, decorative arts, and collectibles. Shop is open by appointment..
Stephen-Douglas Antiques; American furniture and domestic arts of the 18th and 19th centuries. Andrew Spindler; Andrew Spindler-Roesle is a lifelong collector who is guided by the belief that beauty comes in many forms. He received his undergraduate and postgraduate degrees in Spanish L..
George Spiecker; Working with clients to build wonderful collections. We purchase or broker items to give the collector an alternative to auction expenses, and uncertainty. We continue to sell..
Spencer Marks, Ltd; Mark McHugh & Spencer Gordon have been in business together as Spencer Marks, Ltd. since 1986. We sell fine antique silver privately, at shows, and on our website. While .. Offered by: Spencer Marks, Ltd.
Elliott & Grace Snyder; Located in the heart of the Berkshires, just 2 1/2 hours from both New York City and Boston, we specialize in 17th, 18th, and early 19th c. antiques and decorative arts with a..
Stephen & Alice Shapiro; Specializing in American 18th and early 19th century Furniture and Appropriate Accessories such as Textiles, Paintings, and Folk Art. 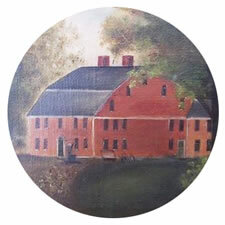 Lewis W. Scranton; With over 40 years in business of buying and selling American antiques, specializing in New England redware and slipware, American painted tin, American silhouettes, fireplace..
Thomas Schwenke, Inc.; Offering the discriminating collector over 45years of experience as an acknowledged expert in Federal furniture made from 1780 to 1820. Also experienced in Neoclassical furnit.. Offered by: Thomas Schwenke, Inc.
Schwarz Gallery; The Schwarz Gallery (est 1930) is one of the U.S. most active galleries, dealing in 19th and 20th Century American and European art; its specialty is the works of Philadelphi..
Peter Sawyer; Specializing in important American clocks, particularly those from the New England area; also a selection of fine quality 18th and 19th century New England furniture emphasizi..
LINCOLN & JEAN SANDER; More than 40 years experience in the field of American Decorative Arts. 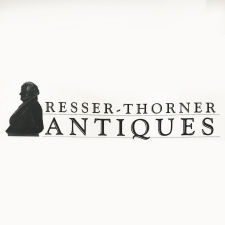 We are consultants in the acquisition and disposal of Antiques and Art.We can assist you with a si..
JOHN KEITH RUSSELL; Established in 1979, John Keith Russell Antiques, Inc. specializes in pre-Industrial Revolution American antique furniture in original or �as found� condition, with a special ..
Russack & Loto Books, LLC; We specialize in out-of-print reference books about American and related decorative arts of the 17th through the early 20th centuries. John Rogers; Early American woodenware & accessories. Shows & by appt. Kevin Rita; Originally established in Hartford, Connecticut in 1991 as Paesaggio Gallery, Garvey Rita specializes in American paintings and works on paper of the highest quality. We have ..
J. B. Richardson; For 35 years, we have concentrated on American Folk Art and early Painted and Decorated Furniture with a sideline specialty in Oriental Rugs. We do most of the nearby Wilton s..
Ann Resser & Richard Thorner; Specializing in a general line of 18th, 19th & 20th art & antiques emphasis on NH related material (furniture paintings & dec. arts) & historical Americana (do..
Douglas Stock; Helen and Douglas Stock each have more than 30 years of experience as dealers in the antique Oriental rug field and are respected as scholars in 19th century Persian rugs. Dou..
Derik Pulito; Specializing in 17th-, 18th-, and early 19th-century New England furniture in original and/or early painted surfaces and related accessories including painted smalls, iron, te..
Jamie Price; Specializing in 18th and 19th century Pennsylvania furniture and decorative arts. By appointment only. Steven S. Powers; Steve Powers is a leading dealer in American Folk and Outsider Art, and the country's top specialist in Woodlands sculpture (Northeast Native American), treen and choice antiq..
Frank & Barbara Pollack; We have available and wish to purchase: American primitive paintings, painted furniture, folk art, toleware, textiles and related accessories of the 18th, 19th and 20th centur.. The Philadelphia Print Shop West; Christopher W. Lane. 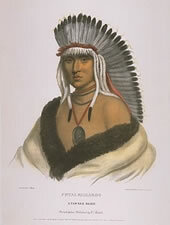 Antique prints and maps from the 16th to the early 20th centuries, with a special focus on the American West. We also carry books containing such graphics..
Oriental Rugs Ltd.; Karen & Ralph Disaia. Founded in 1980, we are New England�s trusted resource for antique rugs of distinction, with an emphasis on quality, artistic merit and condition. Hand w.. Offered by: Oriental Rugs Ltd.
Don Olson; Special examples of 18th and 19th century American paint decorated objects, folk paintings, folk art, woodenware (especially burl), metals and early furniture, with strong att..
Daniel and Karen Olson; 18th and 19th century American country antiques, shop adjacent to the historic Silas Gardner House, over 35 years in the same location; in the lower Hudson Valley minutes from..
Olde Hope Antiques, Inc.; Olde Hope Antiques was established July 4, 1976, by Edwin Hild and Patrick Bell in New Hope, Pennsylvania. 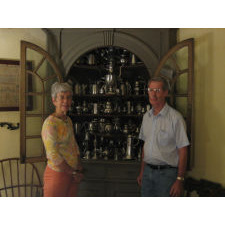 After several years of dealing in a general line of merchandise, the..
Jeff and Holly Noordsy; Dealers specializing in the sale of bottles, flasks, blown glass tableware and other decorative arts of the 18th and 19th century. 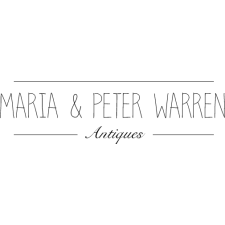 NOONMARK ANTIQUES; Noonmark Antiques appeals to a broad range of collectors, decorators, and clients looking for the “perfect piece.” We primarily focus on chairs, in particular, Win..
Hilary & Paulette Nolan; Early American Antiques In Original Condition. Nautical Pieces From Cape Cod Picking Rare Finds From Old New England Byways Since 1971. Newsom & Berdan; Early American antiques in an 1801 Stone House. Country, Painted and Period Furniture with an emphasis on surface. Folk Art and Americana. Cupboards a specialty. Mellin's Antiques; Specializing in Chinese export porcelain with the Canton decoration. Always a large selection of inventory, including Canton, Nanking, Fitzhugh, and decorative arts. 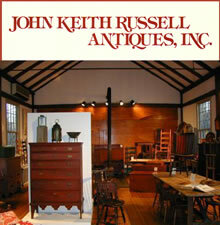 &nb..
John Hunt Marshall; 18th and 19th century furniture from New England. Early blown glass and other appropriate accessories. 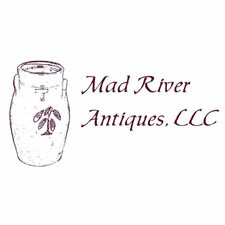 Shop hours: Wed- Sat 11:00-5:00, but please call ahead on weekdays (413-..
Mad River Antiques, LLC; Mad River Antiques features 18th, 19th and 20th century Americana, decorative arts and furniture. 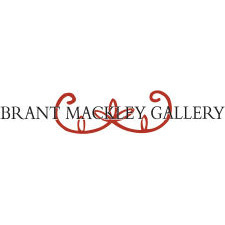 We always have a selection of early American stoneware, textiles, hooked rug..
Brant Mackley Gallery; Brant Mackley is a second-generation art and antiques dealer from Hershey, Pennsylvania. 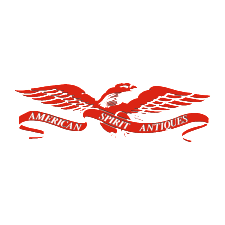 Brant started his career as a child, collecting historic Plains Indian artifacts while..
Sheridan Loyd; Sheridan has been in the antiques business since 1988 and has been exhibiting at quality antique shows throughout the country since 1994. "Having been raised by parents ..
Nathan Liverant and Son, LLC; Nathan Liverant and Son is a third generation Antiques dealer, founded in 1920, and specializing in American furniture, decorative assessories, and fine art from 1700-1840. 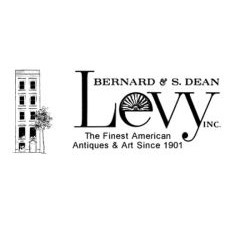 &n..
Frank Levy; For over 100 years, and spanning four generations, the Levy family has been involved in the field of top quality Americana. 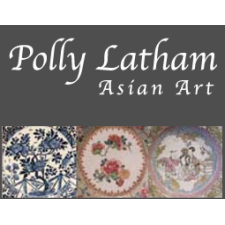 We have been fortunate to work with many of the top..
Polly Latham; For over thirty years, Polly Latham Chinese Export Porcelain has specialized in fine Chinese and Japanese Export Porcelains of the 17th, 18th & 19th centuries, as well as ..
William R. & Teresa F. Kurau; Dealers since 1975, specializing in Historical Blue Staffordshire, Liverpool and War of 1812 pitchers, Anglo-American pottery, Currier & Ives lithographs, early American g..
Greg Kramer; Greg Kramer, a PA native, had an early start in the business of antiques. He bought and sold arrowheads, coins and bottles between the ages of 9-18. The choice of his career e..
Bettina Krainin; 18th and 19th Century American furniture in old surface and related decorative arts. 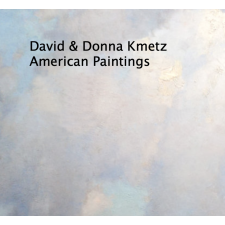 Donna Kmetz; We look forward to seeing you at the shows and by appointment. Please join us at some of the prettiest destinations in New England! 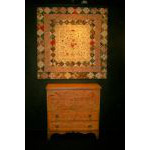 Joe Kindig, Jenifer Kindig; Specializing in 17th and 18th century American furniture and accessories as well as American and English needlework and the Pennsylvania long rifle. 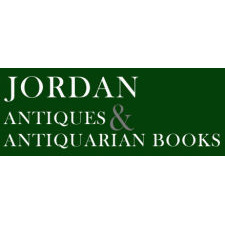 R. Jorgensen Antiques; Three generations of Jorgensens have created a very large collection of fine American period furniture and related accessories of the 17th, 18th and 19th centuries.A lot more ..
Jerry and Pat Jordan; Jordan Antiques and Antiquarian Books specializes in 17th, 18th, 19th and early 20th century Americana. Since 1990 we have had the privilege of assisting in the building of ..
Jewett-Berdan; Dealing in late 18th to mid 19th century Americana. Concentrating on Folk Art, textiles and paint decorated furniture---with a strong emphasis on original surface, color and f..
Scott Bassoff - Sandy Jacobs Antiques; Since 1975, Scott Bassoff - Sandy Jacobs Antiques has specialized in Americana, especially paint-decorated furniture and furniture in original surfaces, as well as accessories..
Barbara Israel Garden Antiques; Specializing in the finest antique garden ornament and furniture from Europe and America. Call to inquire about our on-site ornament placement and design services. By Appointm..
Stephen & Carol Huber; Antique Samplers have been our specialty for over thirty years and we remain dedicated to offering you the finest school girl needlework samplers, silk embroideries, and canva..
Michael Hingston Antiques, Inc.; Buying and selling 18th century American Furniture; Silver from the 18th to 20th centuries with a specialty in American Arts & Crafts silver; American art from the 19th an.. 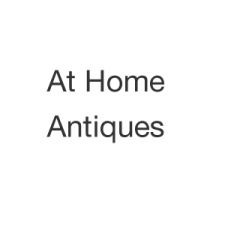 Offered by: Michael Hingston Antiques, Inc.
Samuel Herrup; Samuel Herrup has been the business of selling American furniture, art and ceramics since 1971. The guidelines have been to buy the best possible examples of a particular peri.. The Herrs; Specializing in Pennsylvania German decorative arts of the 18th and 19th centuries and American textiles and pewter. Exhibiting at major shows such as: The Philadelphia Antiqu..
Titi Halle; Cora Ginsburg Gallery As a collector and dealer, the name Cora Ginsburg has been associated with fine and rare costume and antique textiles since the 1940s. 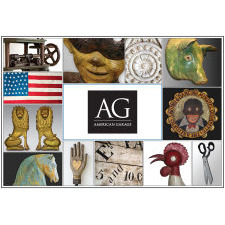 Founded in 1971,..
David L. Good; Specializing in American 18th and 19th Century decorative arts: painted and high country furniture, stoneware, redware, lighting, early glass, folkart with special emphasis pl..
Russ and Karen Goldberger/RJG Antiques; Over 40 years! We specialize in American folk art and quality antique decoys in fine original paint. 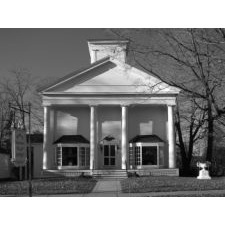 Author of three definitive reference books on Mason and other factory deco..
Dennis Gleason; GLEASON FINE ART Established in 1985 by husband and wife team Dennis and Martha Gleason, Gleason Fine Art has become a fixture on the local and statewide art scene. Ori..
M. Finkel & Daughter; Specialists in 18th and early 19th century American samplers and needlework. Philadelphia antiques dealer, Amy Finkel recognizes that a serious collector always wants to know ..
Bruce Emond; A family business with over 35 years experience of buying and selling antiques and art. We exhibit at several antiques shows a year in New York, Connecticut, Massachusetts, Ne..
Peter Eaton; I specialize in New England furniture made between 1650 and 1820, with a particular emphasis on William and Mary, country Queen Anne, and Federal period furniture from eastern..
Colette Donovan; Early American Country with textiles. 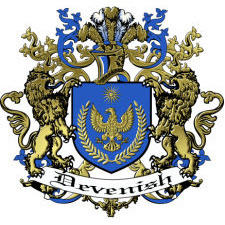 Furniture in original or old surface and a fine selection of quality bed covers,hooked,shirred and yarn sewn rugs, baskets, hearth equipm..
Clive Devenish; About Us:We have been buying and selling antique furniture, mechanical banks, and decorative arts for 37 years. With this much experience, and being second generation antiques..
Dennis And Dad Antiques; Specializing in 18th &19th Century English Ceramics. 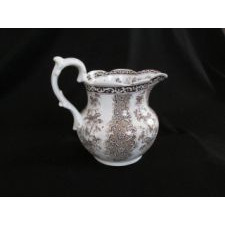 Including: Transferware, Staffordshire Figures, Mocha, Pearlware, Creamware, Yellow Ware and other English Earthenware..
Paul J Decoste; 18th & 19th C furniture & accessories. 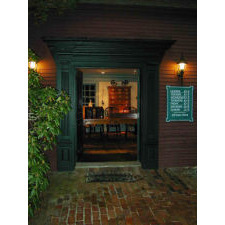 Specializing in nautical items, scientific instruments, metal, glass & potteries of the 17th, 18th & 19th C.
Dalton's American Decorative Arts' LLC; Since 1980 Dalton's has established itself as an unparalleled resource for original Arts and Crafts furnishings and decorative accessories. Under the direction of Dalton's co-..
Kirtland H. Crump LLC; Antiquarian Horologist. We have been restoring and repairing antiques clocks of all kinds for over 30 years. Member of the British Horological Institute. 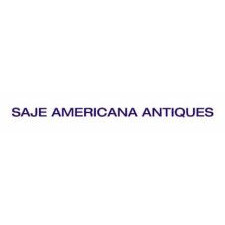 We provide conservati..
Suzanne Courcier � Robert W. Wilkins; Authentic American antique furnishings since 1974. 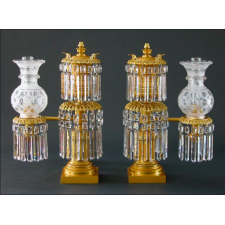 Specializing in the furniture and accessories of the Shakers. Painted and decorated furniture and accessories always in stoc.. The Cooley Gallery; Founded in 1981 and located in the heart of historic Old Lyme, the Cooley Gallery specializes in fine American paintings from the 19th, 20th, and 21st centuries, including th..
Peter Clarke; Clarke Gallery has been in the business of selling American art for over nearly 40 years. Our focus is on oil paintings, sculpture and watercolors from the 19th Century Hudson..
Charles Clark; Charles Clark focuses on collecting and dealing in fine formal American antiques of the Classical period, 1810-1840, with an emphasis on condition and quality. 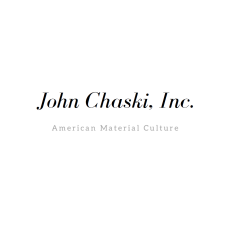 Antique upholst..
John Chaski; My experience in the antiques trade started at a very young age. 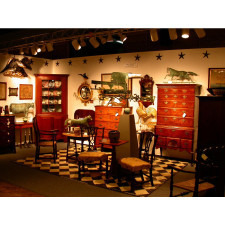 I attended many auctions locally and in Lancaster County with my father and by the time I was in high school h..
HL CHALFANT: American Fine Art & Antiques; We have represented some of the finest examples of American furniture, decorative accessories and fine art from the 18th to the 20th century. Many of those examples have ended..
Marcy Burns American Indian Arts LLC; Antique American Indian basketry, textiles, Historic pottery, beadwork, and jewelry; also, period name-maker jewelry from Taxco Mexico. By appointment only. Hollis Brodrick; Specialist in decorative arts and artifacts of the American Colonial Period. Historical items of special interest. All kinds of early “everyday” objects. By appoin..
Mark Brock; Mark grew up in Huntsville, Alabama and graduated from Randolph School. While living in Alabama, he combed the antique shops in nearby Birmingham, Nashville, and Atlanta for a.. 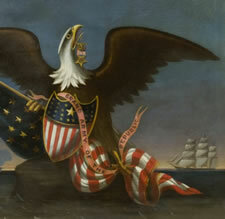 Offered by: Brock & Co.
Jeff R. Bridgman; Specializing in early American flags, painted American furniture and folk art. Exhibiting at many fine shows. Visit my web site for details. Philip H. Bradley Co.; Hours: Tuesday to Friday 10am-5pm. Monday and Saturday by chance or appointment. 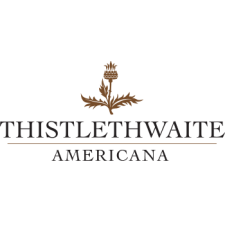 In business since 1950, displaying some of the finest examples of American 18th and early 19th.. Offered by: Philip W. Bradley Co.
Diana H. Bittel; Specializing in fine 18th and early 19th century American furniture and nautical works of art including American marine watercolors, British sailor's woolworks and shell valen..
Carswell Rush Berlin, Inc.; Carswell Rush Berlin, Inc. is a private dealer specializing in top quality American formal furniture and decorative objects of the first forty years of the 19th century. 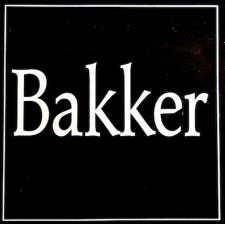 Deriv..
James R. Bakker, President; The best of Provincetown's art scene past and present. Artists include Bourne, Brillinger, Carson, Chaffee, Cohen, De Carlo, Gregory, Hawthorne, Kaplan, Kelly, Lazzell, Little.. Offered by: James R. Bakker Antiques, Inc.
Richard Axtell; Providing rarities in 18th & 19th Century early American furniture, folk art & accessories. Exit 84 off NY Rte 17. Open Tuesday - Saturday from 10 am - 4 pm. Richard Axtell. Jesse Goldberg; Artemis Gallery is owned and run by Jesse Goldberg, who dates his entry into the antiques business to 1973 when he began dealing in Audubon prints, decoys and country furnitur..
Aarne Anton; American Primitive Gallery has been known for expanding the field of contemporary art with its focus on self-taught artists and outsider art. Our primary aim is to present art..
Ted Fuehr; Since 1976, one of the Midwest’s premier Antiques and Art dealers. Selling Fine American Furniture, North Shore Post Impressionist Paintings, and appropriate Accessories..
Michael Ogle and Diana Douglas; Specializing in Americana & Folk Art, Trade Signs, Weathervanes, Whirligigs & Signage with particular emphasis on form, surface and condition. Gallery by appointment o..
Charles & Barbara Adams; Early American antiques bought and sold. 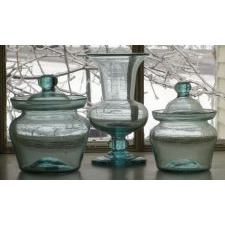 Bennington Pottery our specialty-also: furniture, paintings, hooked rugs, baskets, iron, redware and Indian items. Shows and by appoin..
Ron & Joyce Bassin; Established in 1977, we specialize in American Antiques that make people smile - especially folk art including decorated stoneware, decoys, Grenfell mats, and original surface..